Also called silkscreening, this is an extremely valuable and powerful form of advertising. Screenprinting creates a crisp, professional, uniformed look for any company. Whether it’s the first day of school, a meeting with a client, or a presentation in the boardroom, our embroidery equipment and in-house digitizers will ensure that you will leave a lasting impression. Ideal for businesses, trade shows, and celebrations of all kinds, banners offer brightness and style to cap off your display, and give you an opportunity to make an unforgettable first impression. Vehicle Wraps are used for mobile advertising, promotions, events and brand identity. Capitalize on our hyper-visual society and drive your business with this highly effective marketing technique. 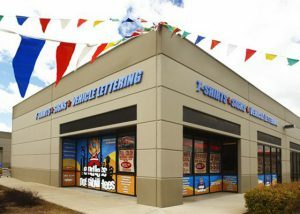 Signs generate traffic and call attention to your business or event. Useful on job sites, front yards, buildings, and more, signs are a great way to improve your immediate visual effect. Whether you have a completed design or just a thought on a napkin, our experienced staff is prepared to transform your idea into a powerful company image. Need T-Shirts or Banners for Special Events. Endless Possibili-tees has the experience you can count on. 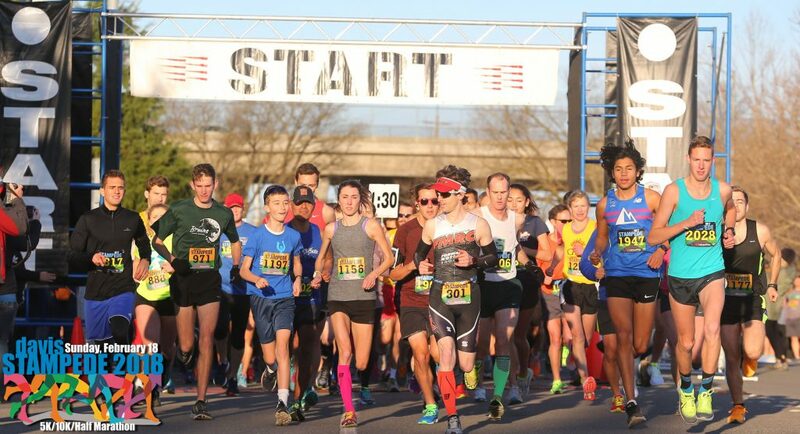 We have supplied Benefit Runs, School Events, Sporting Events, and Festivals. 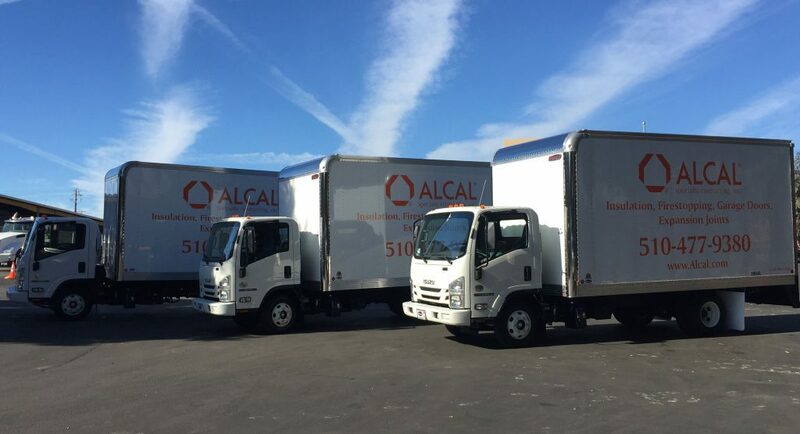 From 1 to 1000 vehicles Endless Possibili-tees specializes in Fleet Vehicle Lettering for all company sizes. "WE BELIEVE THE DEVELOPMENT OF YOUR BRAND IS AS MUCH OF AN ART AS A SCIENCE." After opening our doors in 1992, we immediately set to blending our desire for mutual growth with our customers with a focus on excellence and service. We consider ourselves extremely lucky to have developed thriving partnerships that have endured for over 22 years. We believe in the value of providing our customers with absolute service. This means that all aspects of your order from your first visit through design, production, and installation are handled under one roof. Our core tenets of consistency and reliability mean that you will always be happy with the quality of our work on your projects. Please allow us the opportunity to show you why so many of our orders are from repeat customers that comes back year after year. Give us a call, email, or stop in today to see what kind of Endless Possibili-Tees are available to you! Each completed project makes us better. After 26 years in the industry we are still finding new and creative methods to deliver the best product possible. If you want to see the latest projects or want to get connected with us regularly, do not hesitate, we are waiting for you! The comments below are just a sample of the 1,500 clients that we have worked with. These guys are awesome!! They have always helped me out when I needed a rush job, the quality of work is above and beyond!! I am very impressed with the professionalism both from the staff and the showroom! If you need shirts, banners, vehicle wrapping, or anything call these guys!! I will be back! You rock!! These guys do a great job for our company, from vehicle lettering to company t-shirts and design. We have used Endless Possibilitees for years and will continue doing so. Just a phone call away, they are always up to what we ask them for. 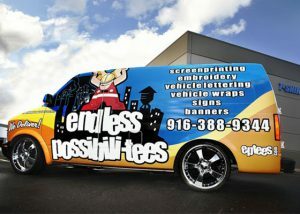 I have been doing business with Edmond at Endless Possibiliti-Tees for around ten years now. His commitment to taking care of his customer is unparalleled. Several times I have had very special requests and services needed in a rush and every single time he has bent over backwards to make sure that I got the flags, signage, or t shirts that I needed at a reasonable price and on time. He designed a window sign for my work vehicle that looks great and even better has brought me more business. When ever someone asks I will always refer them to Endless Possibliti-Tees knowing that no one in the Sacramento area gives better service and prices than Edmond. I have personally witnessed him helping customers with bereavement requests and seen him giving a special rate to help these persons, that I know was at his cost only. Here is a shop owner that cares about his customer and his community and I really believe support of this quality business is important. I would highly recommend this Company! GREAT customer service, easy to find location. If you need screen printing, embroidery or a wrap, this is by far the best place in the greater Sacramento area. I will continue to order all of my t-shirts and hats from Endless Possibli-Tees!! Ed has been great!!! I have placed 2 orders with them so far and our shirts have arrived on time and look great! Excellent pricing and service, good communication… if you need shirts, this is the place to go! Excellent customer service goes a long way in this day and age…I am a fan!! Thank you Ed and Endless Possibili-Tees!!! Edmund has been taking care of business for us for 5 + years. Reliable, honest, on time and great quality. Really couldn’t ask for more! 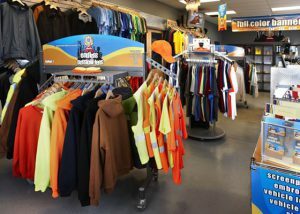 Great place for gear, vehicle wrapping and much more in the way of business visibility. Great shop, the owner Edmund is always willing to tackle my vinyl and wrap projects and gives great deals on t-shirts and embroidery as well! This is the shop to go to for your business marketing needs. As a local business owner, I have used Ed for about 6 years for all of my embroidery, screen printing, vinyl decals and banners. Ed has always done a great job. I have used other shops in this industry and none have compared to Endless Possibili-tees. They have even helped me in a pinch and made a banner for my sons baseball team in 1 day! I ordered 30+ T-shirts from Endless Possibili-Tees. I placed my order on a Monday afternoon and needed them ready by Friday. They were ready by Wednesday!! 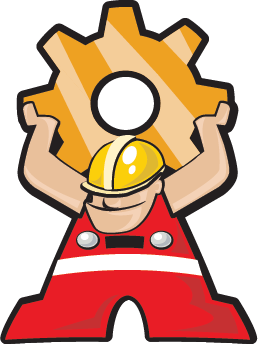 Super quick service – great communication. Pricing was super reasonable. Will definitely order from them AGAIN! Thanks!!! I’ve recommended them to a number of other local businesses and will continue to do so. We used EP to silkscreen 100 shirts for SactoMoFo. Their prices were very reasonable, and they met our very tight deadline with ease. Ed was pleasant to work with, and my only regret is that I didn’t order two or three times as many shirts – they sold out quickly, and at his excellent prices we could have made quite a bit more money had we had more made. We will absolutely be using Ed in the future for all our shirt printing! Ed is incredible to work with and this is the only company I trust with large orders. Ed is always quick to respond, fast with quotes and shirt production. I often have bulk orders that are time sensitive. Ed always sticks to his estimate and production time frame. The shirts I receive are always of the highest quality and exactly encompass my vision. Great company with great prices and customer service! We had great service from the start to the end. They got the correct colors for our logo, gave us great advice on every aspect of the order. And even when I had one hiccough to the order, they ameliorated it to my satisfaction. Endless Possibili-Tees help enhance my logo a few year ago. Ever since then, they been printing my t-shirt. Evertime I Need something done right away, they always come through. Banner. making logo, A-sign etc…. Ed has very good customer service. Very easy to talk to. Hint, want him to work on your product faster, bring him a dozen of pork bao a.k.a pork bun.LoL. Nerver been anywhere else. There’s an old saying if it not broking don’t fix it. We have been using EPT’s for a few years now and as our company has grown, so have our orders. Every order, Edmond comes through with great service, timing and pricing! EP was extremely helpful in getting my order done faster than I could have ever expected. I called in on Thursday morning, finalized my order at 2pm that day, and they got an order of 50 shirts with one ink color done by Friday at 3pm. They were so helpful and easy to work with, and I am so glad that I got the shirts in because I needed shirts right away. The prices were cheap especially since they did not charge me an extra fee for a rush order. I will happily go back to them again if I need to in the future. We’ve ordered several sets of uniform shirts for our business from EPT over the past year. Ed is great to work with. He was extremely helpful in helping to layout our logo and design. The shirts have looked so great our crew loves them….I have become addicted to wanting them in every color! Great service. We will definitely back for more. Fast and Professional services. They definitely know what they are doing. Our Company has our uniforms done there and its always an excellent, good quality job. Have been doing business her for business materials for over 8 years. Their communication and quality is always on point and the staff very friendly. I will continue business here.